Do you have a physical store where we can see the jewelry in-person? No, we don’t. One of the reasons why our prices are low is because we cut operational costs by not maintaining a physical store. However, all of our transactions are processed in a secure online platform and your purchase is 100% safe. We also offer 30 days return policy with no questions asked in case you decide to return any item. We live in Michigan, can we see the jewelry in-person? As stated earlier, we are currently not structured to offer a pleasant in-house experience to our clients. As such, we unfortunately can’t accommodate such requests. We are based in Kalamazoo, Michigan. What size is the ring? We offer free resizing. Once you place an order, please either leave your ring size information at the comments section or email it to us at sales[at}petragems[dot]com. Yes, returns are accepted on all items as long as they are in the original condition. Please refer to our return policy. We offer up to 30 days return policy depending on the amount of the total order. Unlike other major retailers that offer bogus life-time warranties, we don’t make such claims. However, we treat our customers as family. If you end up having any problems with your jewelry, please contact us and will repair your jewelry for a small fee. It mostly depends on the item. If it is an in-stock item, it can be mailed within 1 business day of purchase. We use express overnight delivery service that is insured and requires signature upon delivery. If it is a ring that needs resizing, then the ring will be mailed within 3-4 business days. If it is a made to order item, we will need 10-12 business days to make the item prior to mailing it via express mail. Do you have any layaway plans? Yes, please click here to see the details. Yes, please click here to see details. How do I know my payment is secured? All of our transactions are processed by PayPal which is one of the world’s largest and most secure payment platform. PayPal protects your purchase %100 in the event we don’t deliver the item to you or don’t abide by our policies and commitments. How come you have such low prices? Please read our business model here for details. How does the custom order process work? Please follow this link to see a step by step guide for how our custom order process work. Most are not, but we do buy estate jewelry; however, it does not mean that the jewelry you will receive will be in a used condition. We professionally polish and rhodium plate all jewelry. The item you will receive will be in a brand new condition. Please read our business model here for further details. How do you source diamonds and what steps do you take to avoid buying conflict diamonds? As a small business, we don’t have the resources to investigate where diamonds come from and how they are processed. 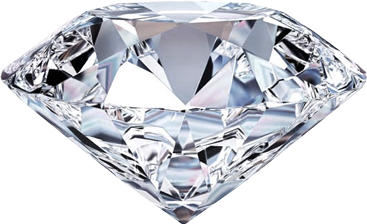 Therefore, we buy almost all diamonds from reliable dealers within the United States. We also process all payments online so that there is record available for every payment we make in the event there is any problem. Please read our business model here for further details.